Sun Hill Barns is an experienced Amish chicken coop and horse barn builder located in Lancaster County, Pennsylvania. Our chicken coops, horse barns, and other structures can be seen in yards and on farms all across the east coast and into the mid-west. 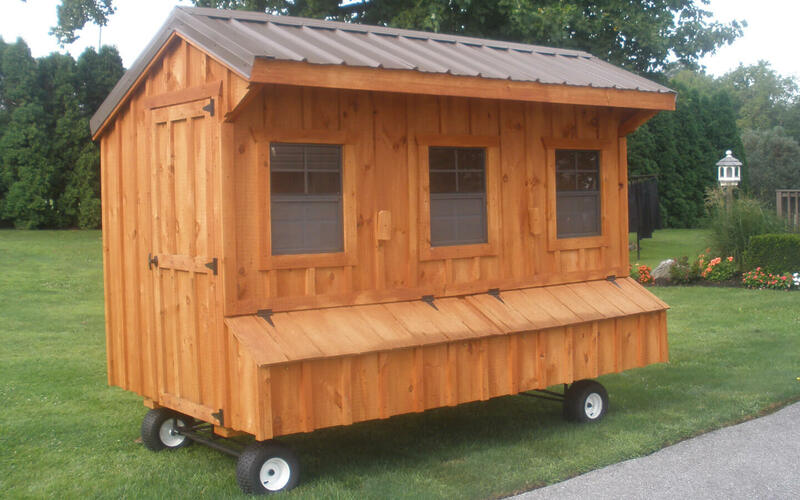 No matter the make, model, or material, all of our barns for sale are designed and built with the same attention to quality workmanship. As an experienced builder, it is our duty to ensure that our product is strong enough to stand up to the elements—and to keep your animals protected—for years to come. Essentially, each one of our Amish barns is a commitment to quality and long-lasting durability — from the Sun Hill Barns family to yours. As a team of genuine Amish craftsmen, we have grown up with horses and understand how to design structures that protect them from the elements. In addition, we know what matters to farmers, homeowners, and equine hobbyists — and we know what they need from a barn builder. They demand quality structures that keep their animals safe — and add a sense of style to the property while doing it. With more than 15 years of experience providing superior building services, we have crafted a reputation for quality. We are pleased that many of our clients return to us for assistance with future projects. Sun Hill Barns will deliver your structure to any of the 48 states in the continental United States. Contact us today so we can get started on your project! If you are a business looking to become a dealer and expand your product selection by selling our products, we welcome you to fill out our form. You want to give your horses the best accommodations to keep them happiest and healthiest. That’s why when you’re looking at barns for sale, you make quality your priority. Sun Hill Barns specializes in horse barns and run-in sheds for the family who loves their horses and wants to give them proper protection. Our skilled craftsmen can design whatever you desire, using the colors and materials that will complement your home and surroundings. Explore our options! If you raise chickens, you know that they require safe and secure housing to protect them from the elements and predators. More than just an exceptional Amish barn builder, Sun Hill Barns designs and constructs a variety of chicken coops and runs. Our customized chicken houses offer a variety of features and ventilation options to keep your flock healthy. See our selection! Our pledge to our customers is that we will build the best barns that will give you years of pleasure for your loved horses.